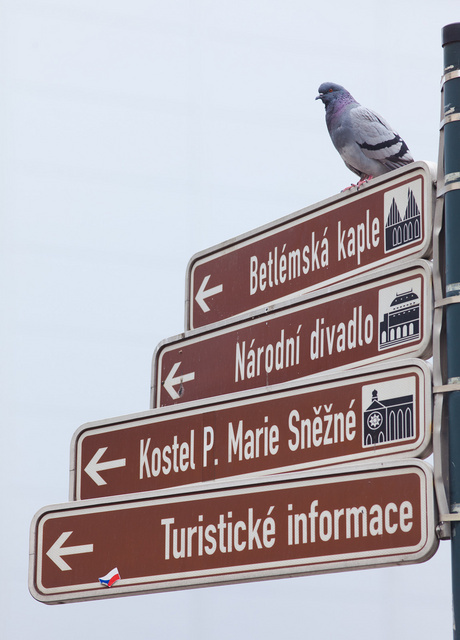 Pigeons are everywhere in Prague. So are the spikes designed to keep them off ledges and heads of sculptures. His hair is standing up on end at the very thought of having a flying rat land on the head. 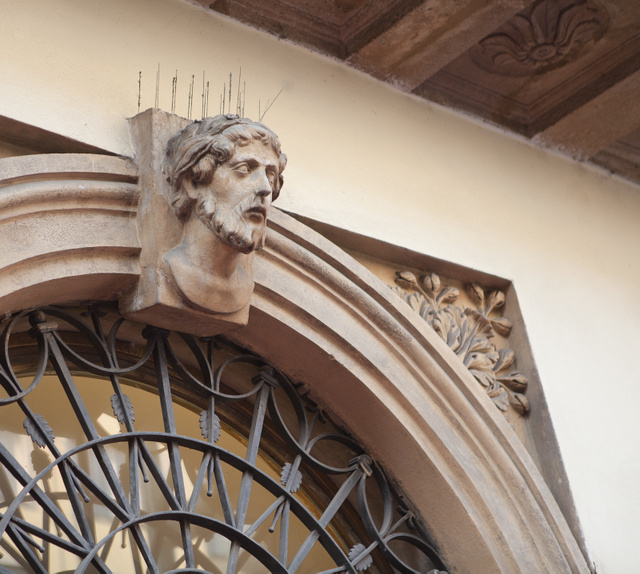 This entry was posted in beast and tagged bird, Czechia, Prague, travel. Bookmark the permalink. 1 Response to Pigeons are everywhere in Prague. Same in most European cities. In downtown Stuttgart this miniature version of Rommel’s asparagus is everywhere. Apparently it’s okay to spend large sums to make life bad for pigeons, but it’s not okay to just kill them.